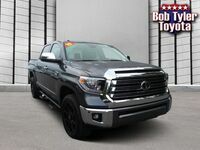 Interested in a Toyota Tundra? 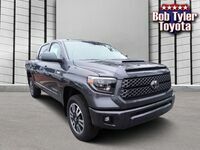 Looking for a powerful pickup option? 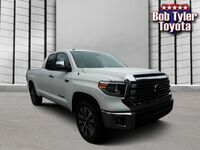 We here at Bob Tyler Toyota are proud to offer the full-sized and fully capable 2019 Toyota Tundra to Pensacola drivers. Giving you the power and capability you need from your truck, with all of the creature comforts to ensure your drive is comfortable and convenient. 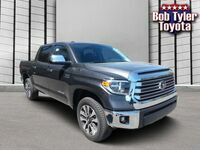 The 2019 Toyota Tundra offers two power source options including a 4.6-liter V8 engine capable of 310 horsepower and 327 lb-ft of torque, or a 5.7-liter V8 engine that puts forth 381 horsepower and 401 lb-ft of torque. 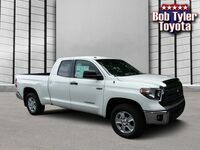 Depending on the model you choose, drivers can expect a maximum payload capacity between 1600 and 1660 lbs. 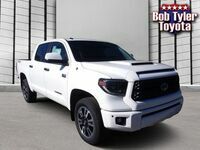 as well as a maximum towing capacity between 6800 and 10100 lbs., making it capable of all of your towing and hauling needs. 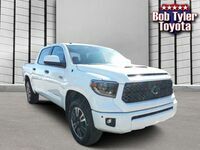 The 2019 Toyota Tundra is available with the TRD Off-Road package that offers upgrades including standard 18-inch 5-spoke TRD Off-road alloy wheels, Bilstein® shock absorbers, engine skid plate, front tow hooks, TRD Off-Road decals and more. 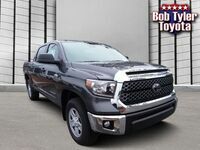 While many drivers choose the Toyota Tundra for its impressive capability and off-road prowess, that’s far from all that this impressive truck has going for it. It also features a long list of amenities and technologies designed for more engaged and convenient driving. 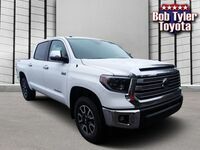 For more information about the new 2019 Toyota Tundra or to get behind the wheel of one of the models currently available on our lots, simply give us a call or contact us online and we’ll be happy to set you up with a test drive. We look forward to hearing from you!